Finally an easy streamlined way to mount a 40" LED light bar on the roof of your Xterra. Whether you want to get rid of those under powered OEM "offroad" lights or upgrade your rig with some serious lighting the GRRilla MountTM made exclusively by OffroadGorilla.com is your solution. Curved base follows the curved contour of your roof rack. This is important as it helps prevent ripping out the riv nuts in your roof. Note: These mounts will only fit 2005 and newer Xterras. They do not fit older Xterras. They do not any Frontiers. These mounts will not fit curved light bars. Some customers have modified the XL mounts to work with curved bars. Sorry we do not have any information on how they did it. When ordering be sure to select the correct GRRilla Mount size for your light bar. Check the 4th picture on how to measure your light bar. Standard: Fits straight 40" dual row light bars that are 41.5" long (not including the mounting legs) with M6 or 1/4" mounting bolts. ex. D-Series Aurora and some Rigid Industries light bars. Always double check your light bar dimensions. XL: Fits straight 40" dual row light bars that are 42.25" long (not including the mounting legs) with M8 or 5/16" mounting bolts. ex. DC-Series Totron light bar. Always double check your light bar dimensions. 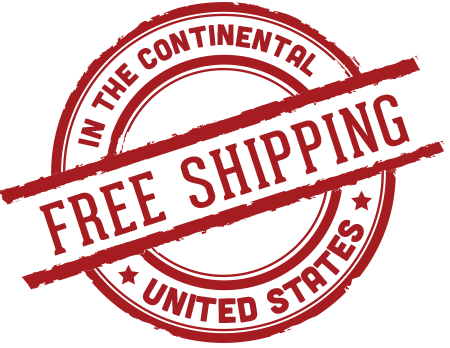 Additional shipping charge for locations outside the 48 US states.